THE UK IS at risk of being “flooded with a rising tide of unsafe toys, cars and white goods” after Brexit, consumer advocates Which? has warned. If there is no agreement made with the EU, the UK will be left vulnerable to “crucial delays” in receiving information on unsafe products. Analysis from Which? found that there has been 34% more product safety alerts in 2018 compared to a decade ago, and said urgent reform is needed to regulations in the UK to equip itself to deal with unsafe products. Recent examples it’s highlighted include dodgy carbon monoxide alarms, unsafe car seats and toxic toy slime, it said. Other recall notices issued include a flammable children’s Star Wars stormtrooper outfit and a fire risk from certain HP laptop batteries. Data shows that the highest number of alerts were issued about toys and motor vehicles last year, at 655 and 419 respectively. Its director of advocacy Caroline Normand said: “With more products than ever before being declared unsafe, it’s clear that an already failing consumer enforcement system needs a major shake up to ensure that people aren’t left at risk from dangerous products in their homes. Which? added that the UK government must be proactive now to ensure it is equipped to appropriately deal with safety standards by the time it leaves the EU. Email “UK market could be 'flooded' with unsafe toys, cars and electrical goods after Brexit, advocates warn”. 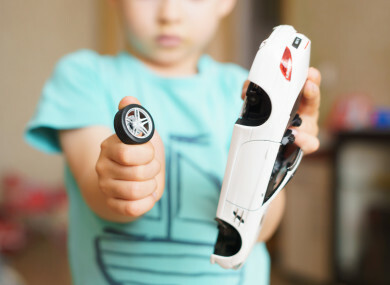 Feedback on “UK market could be 'flooded' with unsafe toys, cars and electrical goods after Brexit, advocates warn”.